The children are taxed too! 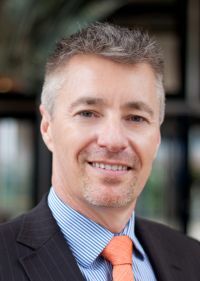 Dale Keller became Chief Executive of BAR UK (the umbrella organisation for all airlines operating in and out of the UK) in November 2012. In the past he held airline management roles with Air Mauritius and Air Malta, and was previously BAR UK board member representing the African region. Immediately preceding the appointment he provided PR consultancy to BAR UK through KTA Public Relations. His aviation, travel and tourism career spans 27 years in the UK and his native New Zealand. It was refreshing that aviation and airport capacity got a mention during the political party conferences and demonstrates how far the industry has come in presenting the importance of its economic contribution following a few years in the political wilderness. It is clear that a broader consensus has been building that we need to get on and do something to safeguard the UK’s ability to maintain its global prominence. The Airports Commission has already gone beyond that debate by clearly stating in its interim report that an additional runway in the South East is needed by 2030. Therefore, we expect that the Airports Commission’s full public consultation, due later this month, will present in detail the pros and cons of the Gatwick and two Heathrow proposals and probably look very much like the final report, bar the actual recommendation. From a wider airline perspective, BAR UK will continue its focus on how the new capacity needs to be located where the market demand exists, be affordable by the industry and passengers who ultimately have to fund it, and not require passengers to pay up front before the runway is operational. We also believe that the national interests must be given due importance yet still allow local communities to be heard. This is where the real challenge lies. There are few instances where the so-called ‘nimby’ effect is more pronounced than when discussing flight paths and yet significant airspace reform will be essential whichever option is chosen. The recent Gatwick airspace trials by NATS created a flood of complaints from residents in Surrey who had not previously been under a specific flight path. It seems impossible that conflicting parties can achieve agreement on balancing the greater interests, which is why it needs to remain the role of central government. Since everyone benefits in some way from airport connectivity, is it not fairer that the noise impact is spread as widely as possible with a greater number of flight paths enabling more respite periods? There is also the view that those living in a large metropolis, with a level of background noise from all manner of sources, are exposed to a less pronounced impact from flight path changes than those living in smaller towns, villages and rural areas where the residents never anticipated any such impact. Since the status quo is not an option for the future and is already inefficient for airlines and passengers, then the Government must step up to its responsibilities and make some tough decisions on the UK’s airspace soon. Another burning subject is taxation where the airline community is working with the rest of the industry to achieving further reform of Air Passenger Duty (APD) through the ‘A Fair Tax on Flying’ campaign. You will soon hear a lot about a new campaign to abolish APD for children under 12 and we seek to engage the public, media, industry and politicians to back the campaign as the next step in achieving a fairer tax. Not taxing children makes perfect sense and is in line with the Government's own taxation guidelines as well as being an effective way for the Government to stimulate inbound tourism and do its bit for UK families. In the run-up to what is expected to be a tightly contested General Election, this could be a very smart manifesto choice for a political party. Finally, no one could have missed the drama over passenger rights under EU regulation EC261/2004 and a UK court of appeal decision in favour of a Mr Huzar. Clearly the situation is a mess and is causing much frustration between passengers, airlines, regulators and government departments alike. Airlines feel unfairly penalised with what they see as excessive compensation levels applying to situations outside of their direct control whilst consumers, although supportive of airline’s efforts to keep fares low, will not look a gift horse in the mouth when given the opportunity to claim up to €600. What is less widely known is that a set of amendments to the poorly drafted (and interestingly interpreted) original regulation was ready to present to the European Parliament months ago but is now mothballed pending a sovereignty issue between the UK and Spain over Gibraltar airport. Amazingly, the amendments exceed the length of the original regulation but would have achieved much needed clarity and some compromise between the interests of consumers and airlines likely to be agreeable to both. However, it seems that sovereignty issues top trump anything else politically and it’s anyone’s guess as to when this Brussels soap opera may be resolved. You really couldn’t make it up and in the meantime the real benefactors seem to be ‘ambulance chasing’ law firms eager to take a margin.